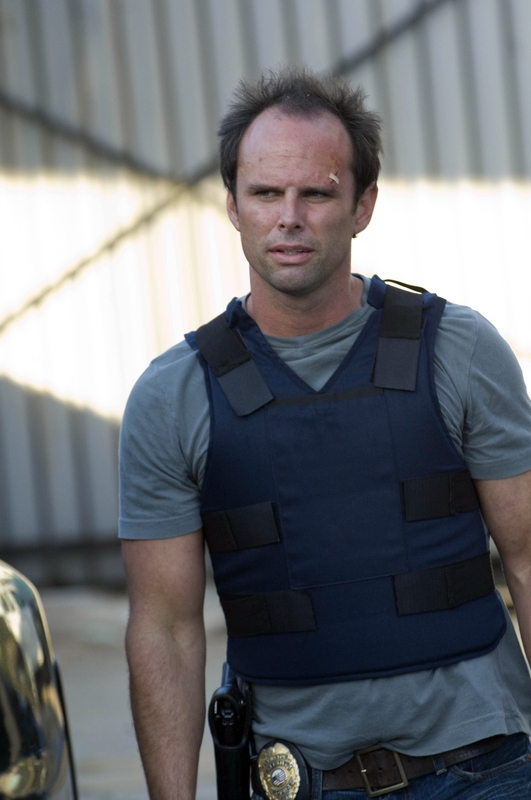 I had the chance to participate in a conference call last week with Shane Vendrell himself, Walton Goggins, from FX’s amazing series THE SHIELD. Tonight, the series begins to wind down as the intense 7th and final season premiere airs at 10. So much happens in this episode, and I love Shane more now that I ever have. Read on to find out what got him started in all of this, what he’ll take away from the show, and what he wants to do next! Conference: Hi, thanks for taking this time to talk to us. Walton: Thank you very much for taking the time to call in. Sure thing. How did you get started in acting in the first place? Wow, how did I get started in acting in the first place? I was a kid with a pretty colorful kind of background, raised by a bunch of crazy southern women, and my aunt and uncle were both in the theater. I grew up seeing them perform on stage, and I thought I would go into a career of politics or law; I kind of got bitten by that acting bug, kind of watching these guys on the stage. She smiled and was kind enough to entertain my hopes and dreams; and I started studying shortly there after, and booked my first job, which was a movie called Murder in Mississippi at the age of 15 back in Atlanta when they were doing quite a few movies in the southeast. I then moved to Los Angeles three years later and started studying in earnest. That was kind of my trajectory. I don’t think there was another option for me, really. I was just curious, this is the last season of the show . . .
[Interrupts] Is it? No it’s not! Is this the last season of The Shield? Damn it! I wanted to know, how do you think Shane’s going to turn out at the end? Is he going to get taken out by the Armenian mob or Vic? You know I can’t tell you that, but I can tell you this, we have been, both Michael and I, and Kenny, for that matter, have been talking about the possible ending of this show since episode two. I can assure you of that, and everything, every year that we have imagined, does not happen in the ending of this show. It far exceeded anything that we could have thought up ourselves. Regardless of what happens at the ending of this show, I think for the fans of this show, the audience of this show, they want to know will the guys ultimately reap what they’ve sown? I guess there are varying opinions of what that penalty should be. For me, in my opinion, yes, I think that these guys get their comeuppance, for sure. It’s riveting, man. It really is something so far outside of my own imagination. I’ve been thinking about this for seven years, and I think that Shawn honored the audience’s commitment to seven years of watching this show. I think that he ended it the way that he began it, from the heart and from a place of passion. I’m excited for you guys to see it. I don’t think you’ll be disappointed. I hope not. Just a quick follow-up for that, I noticed that Michael’s directing the fifth episode of the seventh season. I was just curious; you guys have a good chemistry on screen. What’s he like to be directed by? Yes. You know, he directed my second biggest scene, I guess. On season six he directed episode five. Having worked on camera with him for so long, I trust him. I know how talented an actor he is. I trust his instincts and his visual instincts as well, just the blocking of a scene, and what makes sense from a directorial standpoint. It was a pleasure. I think that Michael is actually going to have a very long directing career. I think that that transition for him, if he chooses to do it, will be seamless; I really do. What was your reaction when you found out that not only was Lem going to die, but that you were the one that was going to kill him? Kenny is one of my best friends and has been. We did a movie together almost 10 years ago and were roommates on that movie. He has been a dear friend for a long time. When I found out that he was going to leave the show, I was devastated. Everybody was devastated. Really, we took it pretty hard. This was a guy that I hang out with every single day. When I found out that I was going to be the one taking him out, I was very conflicted about it for about a minute, and then I thought, no, if anybody is going to take out this beautiful character that Kenny Johnson created, I would want it to be me. I’d want to be there with my buddy to say goodbye to him. It was very cathartic for both of us. We had spent the weekend together before we shot that scene and to come back and honor his commitment to the show and what he brought to it. A long-winded answer to your question, I was ultimately elated and felt very honored to have been given that opportunity to go through that dance with Kenny. And, just real quick, from a story standpoint, man, it made sense. Shawn was right. No one else could have done that but Shane Vendrell. It wouldn’t have had the impact. No one else could have died but Lemonhead. It just would have not have had the impact if it was two different people. I think that he got it right, anyway. I was actually just curious, how has it been doing the show that last couple years as sort of the strike team outsider? How did that dynamic change when your character now is sort of almost a villain? Yes, it’s true. I have a hard time with villain. Honestly, Lord knows we’ve all done really bad things, but there was such providential camaraderie when this show first started. In the first two seasons were these guys having fun, doing some crazy stuff and having fun, the friendship started fracturing really at the end of season three, and the paradigm had kind of shifted as far as a strike team was concerned. For the last two years, me being out on a limb, it was difficult, man, because I’m not seeing everybody every day. I’m not seeing Michael every day. I’m kind of doing my own thing. On the other side of that, I had an opportunity to really explore this character and let him grow on his own without three other people in the room. I think for the character, it was crucial in his development. It’s kind of bittersweet, but I’m happy that I had the opportunity to do it. Everybody’s got to forgive me. I’ve only had like five hours of sleep last night, so if I get a little long winded, just bare with me and cut and paste. Now that the final season of The Shield is here, looking back over the years, how do you feel about your character, Shane, personally? I mean, even if you don’t agree with some of his past actions and choices, is he the kind of person you want to hang out with or consider a friend? I think any actor that has spent seven years with a character feels protective of that character. Is it somebody that I would hang out with? Me, Walton, hang out with. No. The answer to that question would be no, I wouldn’t. How I feel about him? It was really sad the last day of filming. Not just because the show was ending. Not just because I’m not going to get an opportunity to see all these people every day. I still see the actors and talk to the writers quite a bit and the crew quite a bit. But, I’ll never get to play Shane Vendrell again. For me, it almost broke my heart when that happened because I love him very much, not from a friend standpoint. I just want to hug him. I just want to go up to him and just kind of hug him and whisper in his ear, “Buddy, you’re okay. You’ll be okay. If you can start from here and try to live your life differently, you’ll be okay.” There has been this kind of father-son figure relationship between myself as Walton and Shane. That answers your question. It’s true. It’s honest. Quick question, with your character really going from being a major player on the show to being really the focus of the whole second half of the season, how has it been for you to go from being part of this team player to just really the whole season, everything after episode eight looks like it’s really about you? How has that been? That’s a very nice thing to say. I do believe that this is a true ensemble, for sure, and we have a deep bench. You could throw the ball to any one of these players. God knows, to be involved with the show is enough, and then to be thrown that ball in the fourth quarter is a big deal in the second half, man. I think what you guys are going to see, and there are many threads in this story, but the thread of this friendship between Vic Mackey and Shane Vendrell and the disintegration of that friendship and what it has done to these two men that were inexorably tied to the original sin of the this show; and that has been there from the beginning. I think that’s one thing that you’re going to get to see from episode nine going forward. To be in the center of that storm, what greater honor could a person have? Honestly, I just believe in this show so much, and I’m very thankful and humbled by this opportunity—full of gratitude, honestly. One quick follow-up, with your character, your character’s had an arc that has really run from the beginning of the show to the end of the show. How has that been to play it, really a full story of one character? You’re right. It’s a very good point. I never knew it, because we never knew what was going to happen. I knew by being with Vic Mackey, by Shane being with Vic Mackey, and killing Terry in episode one, that the ramifications of that violent act would reverberate, hopefully throughout the whole show, unless I got killed, man. I never knew from episode to episode if I was going to take a bullet. Honestly, there was one episode in particular where I did take a bullet, and I just went, “Oh, my God.” Then I read the next page, but I had my bulletproof vest on. “Thank you, God. Thank you, God.” To answer your question, I never knew what was going to happen, and it was only during the middle of last season when Shane had the opportunity to tell Maura what he did, and then the subsequent conservation that he had with Vic, that this whole journey really started making sense for me from the beginning. I was able to kind of calibrate it going forward based on five years of prior history. I think that the ending of this show and my participation in that is so befitting of this seven-year journey that I have been on as Shane. I think that it will be an exclamation point that will be satisfying for everybody. I got to tell you, man. The Democratic National Committee is going on today. I feel like I’m running for office. I’m a huge fan of the show. I’ve been following it since the pilot. I can’t wait to see how it ends though. First thing I want to know is do we get any closure into Tavon? They seem like they kind of . . .
What does that mean? Any closure to Tavon? Does he come back this season? I’m not at liberty to say, and that could either mean yes or no, honestly. I don’t want to ruin it for you. I see you have Laurie Holden in for the season as well. Can you tell us a little bit about her character and what kind of dynamics she brings? She is a beautiful woman, a very talented actor, which is always a good thing around a show that is full of testosterone. I’m sure CCH and Catherine Dent would appreciate the help. Yes, she comes in, and I didn’t have a lot to do with her. Most of her stuff is with Michael. She just brings her integrity as an actor and her storyline is one that is an integral part of this last season, and what plays out with Erin Molus and Vic Mackey. She is a big, big part; and it was a coup to get her. What’s been your favorite scene to film so far? It was crossing the border, the Tijuana border, back into the United States. That border crossing and in that same episode, which was the first episode of season two, when we abduct the guy in Tijuana, and it’s me and Kenney and Michael walking down the street in Mexico, and Dave Snow, Ronny, peals around the corner and we throw this guy in there. For me, as an actor, with these guys, when at least in our minds, we thought we were the baddest guys on television. It was so much fun. We just laughed and had the best day, and we did all of that in a day and a half. Those two scenes were the funniest or the most fun, rather, that I’ve had working on the show. There have been so many. It’s hard; it’s like saying, “What’s your favorite band? And What’s your favorite song?” There are so many, but those two just standout as we laughed a lot and had a really good time. What about the other end? Has there been one scene that was really hard to film that you least liked? When you say hard to film, yes. Emotional scenes, they require a lot of energy, and they require, if you are doing your job, then it requires an actor to go to a very dark place. That’s not a nice place to visit. If you can imagine; I say this to my friends who don’t really understand what it is that an actor goes through, and I say “If you’ve ever had an argument with your girlfriend or with a friend that lasts for 10 minutes, you’re tired after that.” Imagine kind of sustaining that emotion for 12 hours. It wasn’t that they weren’t enjoyable, because that’s why I’m in this business is to experience a plethora of emotions, but when you wake up at the beginning of the day, you know it’s going to be a long day. I say all of that to contextualize killing Lem. The number of emotional scenes that I’ve had the great honor of playing with Michael, when Vic Mackey lifts the gun up; that was tough. Have you felt like anything you guys have acted out, have your own personal relationships played in at all, and the writers have either said we need to redo that because it’s not quite right or they . . . I get what you are saying. You know what, no, nothing like that has ever happened. It is what it is. These are characters that we are playing; and it’s just a story that we’re involved in, so, no, never anything personal. I will say I think it was probably my own baggage after killing Lem and showing up for the next season the very first day, I felt kind of a chill from everybody, including the crew; but I think it was me being self conscious because I had spend the previous two months having my life threatened, kind of walking down the street, for taking out such a loveable character. That’s really the only thing along those lines. 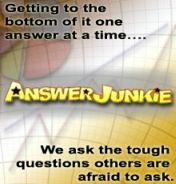 My next question, as far as you’ve mentioned, reading the script, you read scenes like you get shot and you realize you had a bulletproof vest on, have you found any of your most surprising moments, other than that, while reading the script wondering what’s going to happen next? Every single episode, really. It’s every single episode. The way that the fans of this show watch episodes, and they’re like, “Oh, damn it, man, I don’t want to wait seven days to the next episode.” Believe it or not, every actor on this show feels that way when they read the script. They are like, “Man, are you kidding me. You’re not going to tell me what happens next week.” It’s like watching the show. It takes an hour to read it, right. Pretty much every script, there is some revelation that is an OMG moment. I’m sure you are going to probably miss Shane when this thing is finally over. I’m just curious, would you be looking to go back into another cop procedural program or do you want to do something different, like maybe medicine or something? It’s a great question, man. Television is a great gig. It’s a great gig from a security standpoint and from getting to exercise your muscle every day. Honestly, it’s the repetition. It’s getting in front of that camera and exercising your muscle every day that is your ability to tell stories. That’s such an honor to be able to do that, to be given that opportunity. That being said, I don’t want to play a police officer anymore. I played one, and I want to honor Shane Vendrell by not doing that again for a while, anyway. Going back into television, I’ve really thought about it. I’ve read some stuff, and had some meetings with people on different shows, and my partner and I, we have a production company, and my partner wrote a pilot for me to star in. We just sold it actually. I can’t really give out any more information than that. There will be a release here pretty soon. This is a character that I would; it’s the role of a lifetime, as Shane Vendrell was the role of a lifetime. If we’re given the opportunity to tell this story, it’ll be two characters back to back that will be watershed moments in my life. We’ll see. I don’t know what the future holds, man. I know Spike Lee’s movie’s coming out soon; and we just did another movie ourselves, we produced another movie for a filmmaker. We’ve got Hal Holbrook and a slew of really good actors in it, and I like being on that side of the camera. I want to start directing. I don’t know what the future holds. Thank you all so very much for participating on this phone call. I hope we have done our job, and I think that we have. I can speak for everybody involved in the show is that we don’t dial anything in. We leave it on the playing field every single day, 100 percent. I think it shows in this last season. I thank you all so very much for writing what you’ve written over these years and for championing what it is that we’re trying to do, our cause and this story. Really, a heartfelt thank you to you all. Everybody else would say the same thing if they were here. You enjoy, and perhaps we’ll talk again before it’s all over with.